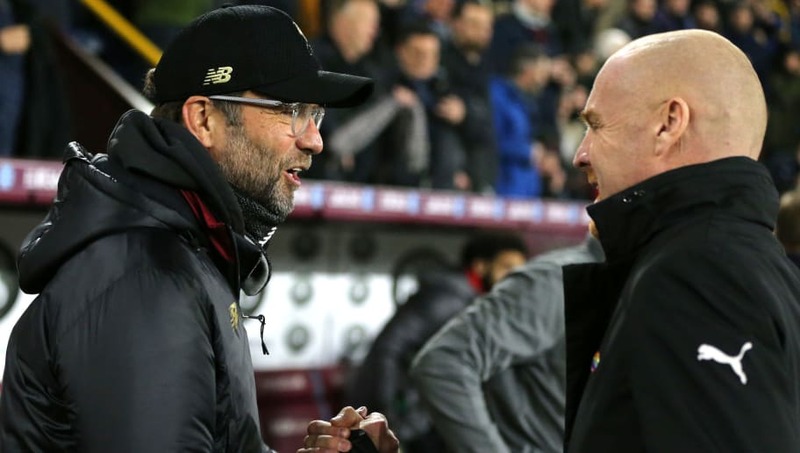 ​In the aftermath of Liverpool's 3-1 win over Burnley at Turf Moor on Wednesday night, managers Jurgen Klopp and Sean Dyche were caught on camera in what appeared to be a heated discussion, as they headed for the tunnel. Liverpool came from behind to win after Jack Cork had given the hosts a second half lead. The Reds fought back and goals from ​James Milner, ​Roberto Firmino and Xherdan Shaqiri sealed all three points. However, the Clarets boss apparently took exception to Klopp's touchline actions during the match. As the managers shook hands after the final whistle, Dyche clearly said something that left Klopp looking bewildered. As reported by The Mirror, Dyche was upset at his opposite number's actions on the sideline as he was 'attempting to influence the officials' and asked for Burnley players to be 'carded'. There were a number of physical challenges committed by ​Burnley on ​Liverpool players, including a nasty looking injury to Joe Gomez following a clattering challenge from Ben Mee, sending the England international into the advertising boards. ​Gomez was forced to leave the field on a stretcher with a fractured leg. "It wasn't a foul but they cannot do that. It's like bowling because then four or five times it happened. Joe is injured and probably not only a little bit."